Successful long-term energy hedging and risk management require logical goal setting and determination of the optimal tradeoff between ensuring attractive prices and avoiding poor prices. Exposures and the goals for their mitigation must be defined. Among the challenging decisions which Kase assists its clients in making include when to hedge, at what prices to hedge, how long a maturity to hedge, which instruments to use, how to scale in, and when to restructure or revise hedges. Additionally, Kase assists with basis and regression analysis, necessary for qualifying as a hedger versus a speculator, seasonality issues, storage economics, risk analysis and VAR, pricing estimates, as well as custom support needed for special circumstances, as needed. The Kase HedgeModel is a statistically based charting product that identifies when to hedge, which maturity to use, how to scale in, and when to restructure. Its use does not require previous training. It can be employed in internal decision-making processes or on a purely objective rule basis. 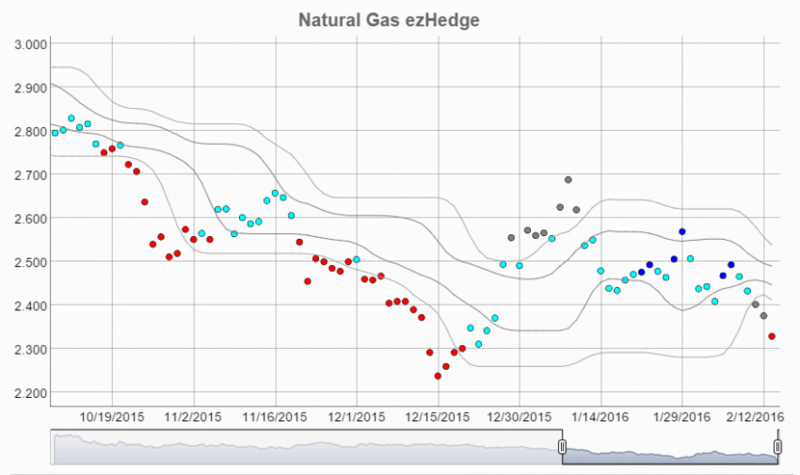 HedgeModel can be used for any energy exposure for which there are data or data with which the exposure correlates. 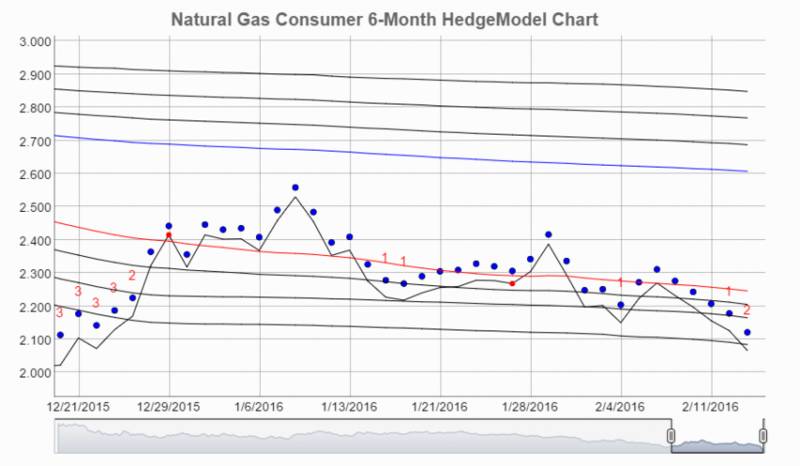 Kase ezHedge is a consumer hedging support model that uses volume averaging to layer in long hedges. The model divides prices into percentile zones each of which call for varying actions. The model is easy to follow and is purely mechanical. Both large hedgers and those with exposures as little as 5,000 barrels per month, or 50,000 mmBtu per month equivalents may benefit from this method. The HedgeReport is designed to support Kase’s logical approach to hedging and to undergird quarterly planning meetings. The report includes forecasts for the forward curves, recommendations on the approach to hedging in the forthcoming quarter, low-risk hedge targets, recommendations on what instruments to use, basis and regression analyses, Monte Carlo risk simulations and more. Includes a complimentary subscription to the Kase Commentary on Crude Oil or Natural Gas. Contact us at 505-237-1600 to find out about discounts which may be available for longer terms, multiple commodities, etc.